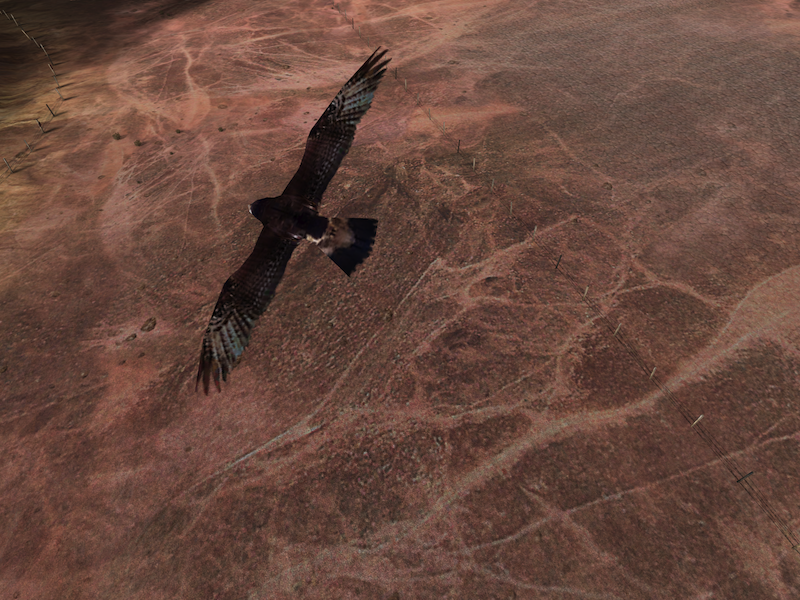 Perhaps the hawk at the Cleft volcano in the New Mexico desert? I believe it is also sometimes find in some Reltos. Just a guess on this being the same animal, however. Yes, the Cleft and Relto birds are believed to be Zone-tailed Hawks, though so far as I know, we do not have any DRC/RAWA confirmations of this identification. The birds flying around the Cleft are definitely zone-tailed hawks. However, the Relto birds are very definitely not. First off, the Relto birds are pure black, and have a different body and wing shape. 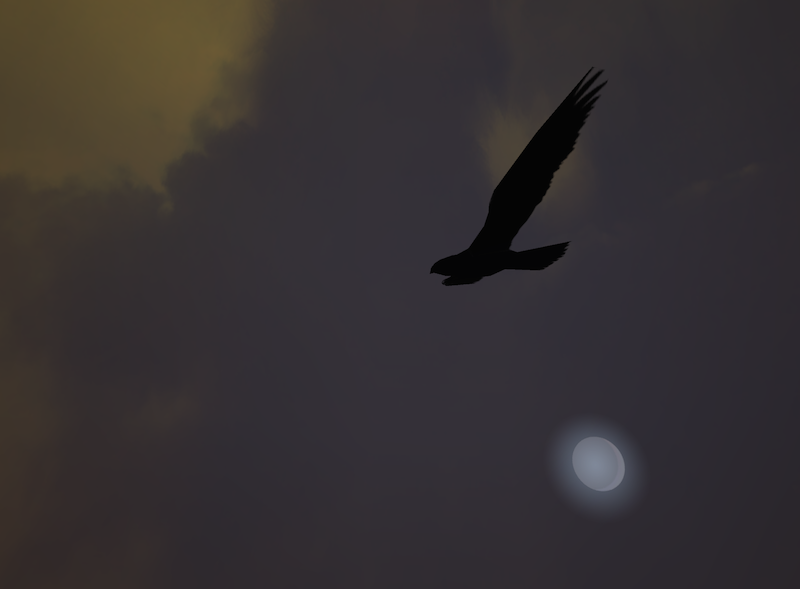 Their call is identified in the game files as being that of a "vulture". The type is unknown; I've listened to the calls of various vultures known to inhabit New Mexico, and none of them sound like the Relto birds. You can hear the same call as the Relto birds' in the Cleft, but it's not coming from the hawks. They make a very different sound, which you can hear at http://www.allaboutbirds.org/guide/Zone-tailed_Hawk/sounds. It's possible that the Relto birds are a form of raven or crow, but again, I've never been able to find a match for their call. Edit: Ainia, I think you got the Relto birds mixed up with the birds in Eder Gira, which are identical to the birds around the Cleft. The DZS called the Eder Gira birds "forest hawks", but they are the exact same sprites as the zone-tailed hawks. Nor have I... the bird call itself remains a mystery. I agree that visually they seem different. Yet the Yeesha page that puts them in our Relto is retrieved from the Cleft area. So overall, the indicators are ambiguous in my mind. Perhaps the bird page was an early exercise on Yeesha's part and so doesn't work as she intended? (Probably not... I expect the real answer is much foggier and more convoluted than that.) I doubt anyone familiar with the D'ni saga would accuse Atrus or the DRC of being crystal clear up to this point! Ambiguity is a hallmark of cavern life, it seems. But yes, the Gira Forest Hawk is indeed a clear visual match for the Cleft hawk. And the connection between the bird call(s), the hawk we see at the Cleft and the Relto bird is difficult to sort out. As predicted, I couldn't stop myself from digging back into the Relto and Cleft hawks. I managed to get some decent photos of the Relto pair and compared them to my archival photos of the Cleft pair. Bottom line, they are indeed the same birds, though the Relto ones are silhouetted (either the lack of bright desert light keeps their plumage appearing darkened, or OOCly, Cyan darkened the textures deliberately). I got a few lucky shots in my Relto which enabled me to compare the birds in the two locations fairly conclusively. 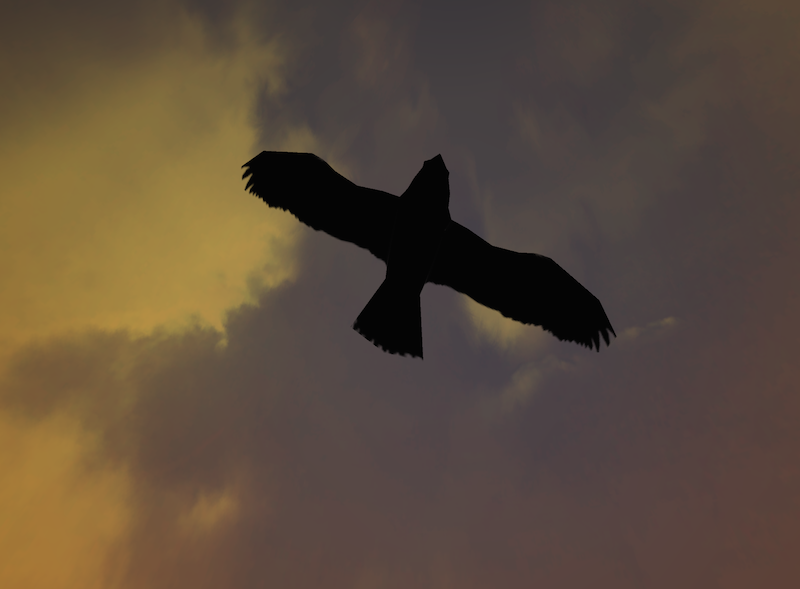 [Reveal] Spoiler: The Relto hawk from below; the angle and distance are a nearly perfect match for the Cleft photo! The bird call is still a frustrating enigma, though I found a good web site that collects lots of calls for each bird species. 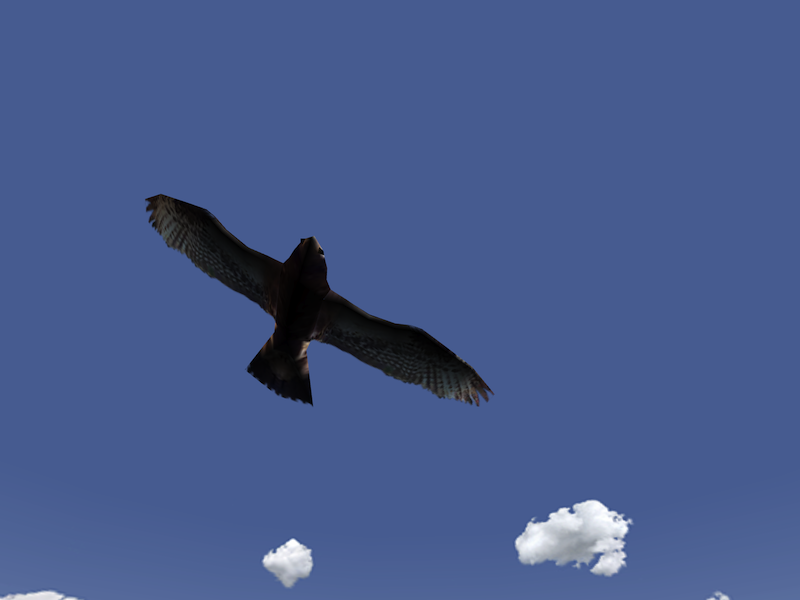 Based on what I've listened to more recently there (and elsewhere), I suspect we are hearing an alarm call (which generally are deeper pitched and squawky), though the hawk type that has the closest tonal range thus far is the Harris Hawk. Thanks for the view of the "Cleft Hawk from above". Never seen that kind of detail before. Such a beautiful bird! Over time, the depth of the details that went into the this game never fails to amaze me!!! Toki, I'm impressed by your research. It appears you've been influenced by Ainia. And, Ainia, wow, what great shots. As always, you provide us with thorough research. Thank you for sharing the pictures and information. I agree that the call of the Harris's is about as close as anything I've ever heard. It's still not the right one, but it does suggest a different avenue of approach. My search mostly centered on hawks and vultures that are native to New Mexico, and none of them sounded at all like the calls used for the Relto birds. I believe that the black coloration is deliberate, so that means that while I freely admit they used the zone-tailed sprite for the Relto bird, I'm not yet convinced that it's supposed to be the same bird. There are five different calls that the Relto birds make. 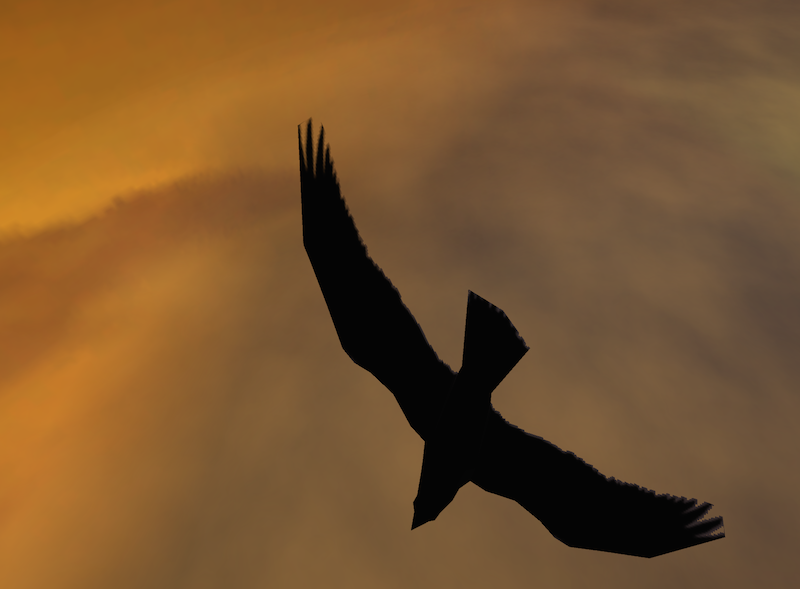 The sound files are marked "Cleft Desert Vulture". I hope we find a match for them someday. My second son has heard all these five voices. I am glad to have you praise it. I hope I did this correctly....Something I posted on another thread on the forum...relating to the topic here. Thanks for the replies, everyone! I must admit though, even with these guides it looks kind of overwhelming. I such a math, so I'd never have been able to figure this out on my own. Also, excuse my ignorance, but how do the markers work? I've only ever used the ones needed for Ki calibration. I assume they work the same, but give a more exact location of the Kivas. Of course, you need to be close for them to ping. You need to get a marker game from another player; it's a file that is shared via KI device. Once you have the game, you go to the Age or cavern location it was made for and select it. There will be start and stop buttons in the game file. Then the markers work just like they do for KI calibration -- you move your avatar into them and they do something. In the case of marker games, the person who made them may just use them to form a bread-crumb trail for you to follow. But often, they contain messages that pop up in text chat to give you information or to tell you what to do next. Marker games for the Minkata kivas typically just form trails. More ambitious players sometimes turn marker games into a literal art form, by forming shapes made from the marker symbols. Those are always fun to see. What can I do with my KI? section / Secondary Functions / Create and play marker games / ± 3/4 down the page / "Playing a Marker Game Created by Another Player"
Edit: So, you have to run to the Kivas, run back to the Bone Henge thing, then do the next Kiva, back, etc? If i understand what you have to do right (after reading through a heap of info) this puzzle sounds like waaaaaaay too much effort for too little reward. I'd rather be exploring more interesting Ages than traipsing all over this wasteland.